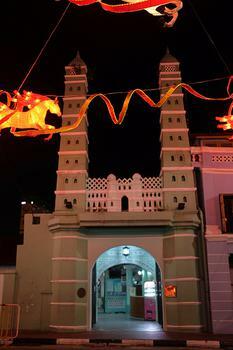 One of Singapore's oldest mosques, built in the 1830s by Tamil Muslims in an Indian style. One of Singapore's oldest mosques, built in the 1830s by Tamil Muslims in an Indian style. Note the stepped minarets outside.